Align buses on Brooklyn Avenue NE for direct bus transfers at the light rail station. 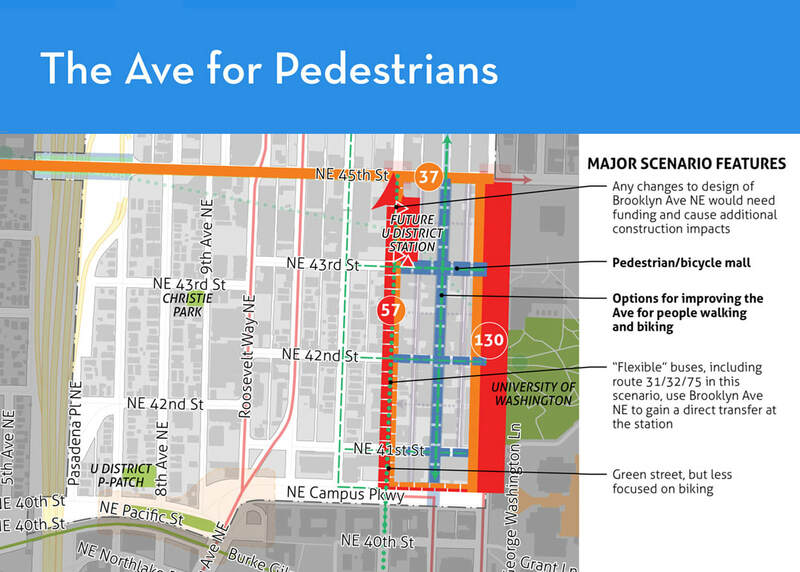 Buses remain also on 15th Avenue NE. 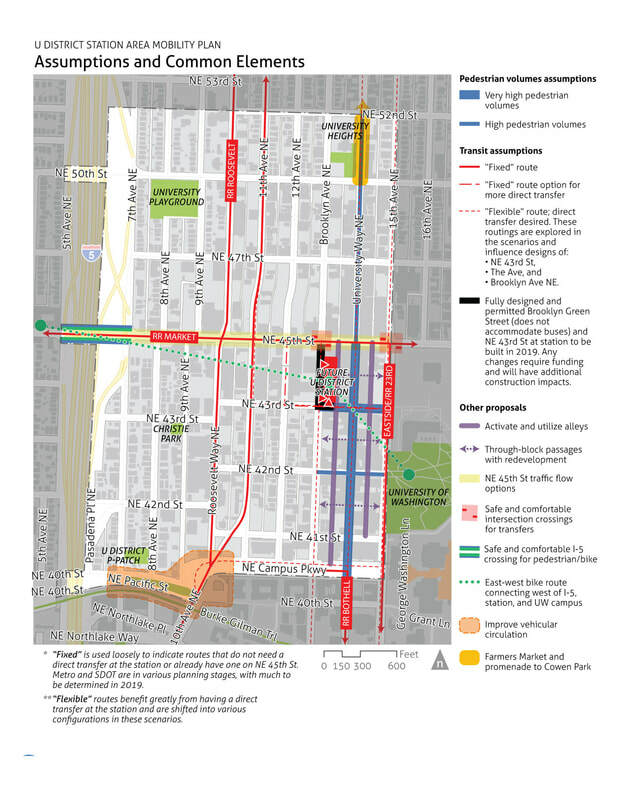 The Ave and NE 43rd Street are prioritized for pedestrians and bikes, making room for activities in the public realm like a mid-week farmers market, outdoor cafés, and festivals. ​This is the preferred option of the community so far.